In an interview last fall, I asked Road 13 Vineyards winemaker J-M Bouchard which of his wines was an icon wine. Most would say that the winery’s flagship red, a blend called Fifth Element, has emerged in recent years as the icon. I would agree totally. The Chenin Blanc in the winery’s vineyard was planted in 1968. It is one of a handful of Chenin Blanc plantings in the Okanagan. The other winery making a world class Chenin Blanc is Quails’ Gate. The total acreage of Chenin Blanc in British Columbia produces enough grapes for perhaps 6,000 cases of wine, which does not go far when spread among several producers. Road 13 says the variety, at least in its vineyard, is a late ripener. The grapes for the 2014 wine, reviewed below, were picked on October 29, at the tail end of the Okanagan harvest. “Picking was a bit stressful, as this grape is very sensitive to rot late in the season,” the winery comments. “2014 was a high pressure year in this respect ….” The pickers had to be careful to pick just the healthy bunches. Commentary like that seems to explain why there is not more Chenin Blanc grown in the Okanagan. That makes Road 13’s Old Vines Chenin Blanc all the more special. It was among a small number of wines released this fall by Road 13. The samples, curiously, included the 2011 Fifth Element which was released last year. I reviewed it last year; I made notes on it again this year and arrived at the same score. 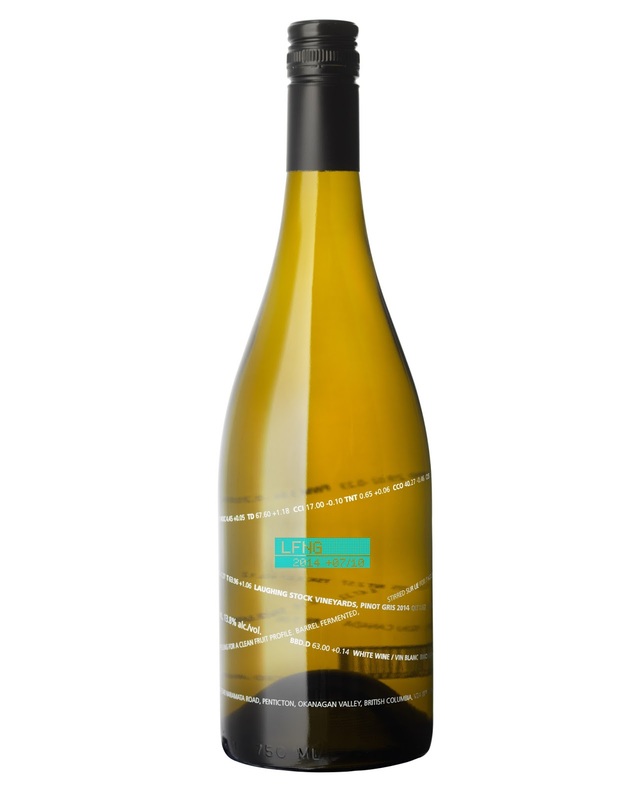 Road 13 Old Vines Chenin Blanc 2014 ($27 for 599 cases). This is a terrific wine, beginning with aromas of pineapple, melon and apple and continuing to flavours of lime, pineapple and cantaloupe. The texture is rich and the wine has a very long and generous finish. 92. 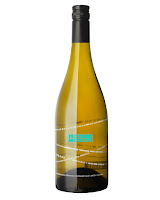 Road 13 Marsanne 2014 ($24 for 114 cases). The wine begins with herbal aromas, along with notes of melon and apricot. 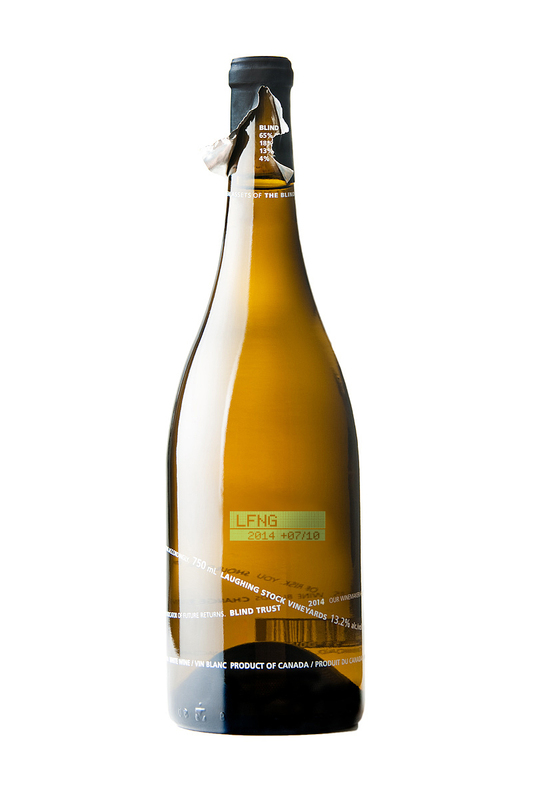 On the palate, there are intense flavours of apricots, orange zest, pear and nuts. The texture is rich and the alcohol, although only 14.1% seems a touch hot. 88. Road 13 VRM 2013 ($29 for 145 cases). 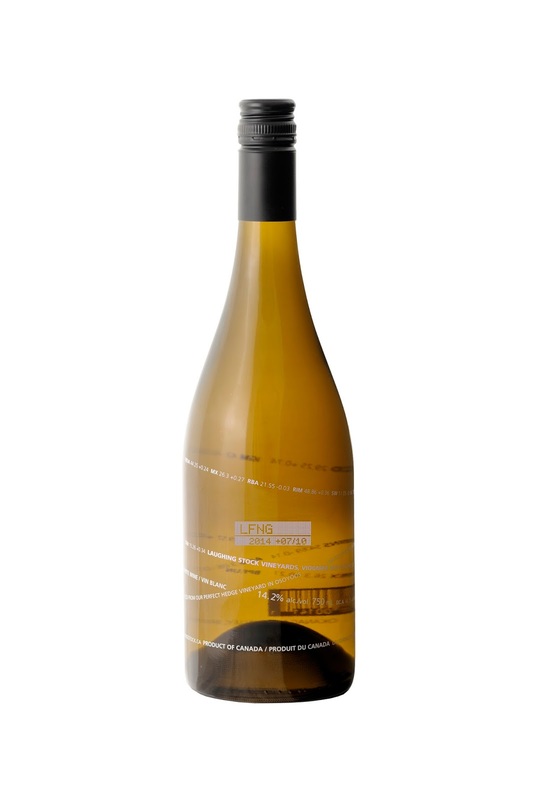 This wine is a blend of Viognier, Roussanne and Marsanne; barrel fermented and aged nine months in neutral oak. It is a delicious wine with aromas and flavours of peaches, apricots and guava with a hint of vanilla. Fat in texture, it has a long, dry finish. 91. Road 13 Seventy-Four K 2012 ($25 for 4,878 cases). One of Road 13’s signature red blends, this is assembled with Merlot, Syrah, Malbec and a touch of Viognier. Grapes come from both Black Sage Road and the Similkameen Valley. The wine was polished with 14 months of aging in French and American oak. There is an appealing core of sweet fruit here – flavours of black cherry, plum and black currant, along with vanilla, coffee and liquorice. 90. Road 13 Syrah Mourvedre 2013 ($35 for 120 cases; sold out). This is a bold, earthy wine, beginning with aromas of pepper and plum. There are flavours of plum, blueberry and blackberry, accented with deli spices, pepper and coffee. 90. Road 13 Fifth Element 2011 ($49.99 for 588 cases). There are now six varieties – five Bordeaux reds and a Syrah – in Road 13’s flagship wine. The wine begins with aromas of black olives, blackberry and blueberry. Ripe and rich on the palate and benefitting from 16 months in French oak, the wine has savoury flavours of dark plum, black currant and blackberries. 92. Whether or not there is minerality in wine was at the centre of the most contentious session last summer at the Cool Climate Chardonnay Conference in Niagara. Even if you can’t measure minerality in wine, you can taste it, he argued. The Coolshanagh Vineyard Chardonnay from a new winery on the Naramata Bench would support him. A tasting of the three vintages so far from this property suggests this might be one of the most mineral-driven and Burgundian-inspired Chardonnays in British Columbia. Coolshanagh is a so-called “virtual” winery. It is based on a very real vineyard but the owners, Skip and Judy Stothert, leave the winemaking to Okanagan Crush Pad Winery. The wines are also sold under the OCP license since the Stotherts have not yet licensed Coolshanagh. Even when they do, there is unlikely to be a tasting room. The vineyard, seven kilometres north of Naramata Village, is at the north end of Naramata Road, just past the Chute Lake turnoff. Few wine tourists would drive that far even if the Stotherts did not value their privacy. He had grown up in a household with wine on the table. His father, Win Stothert, ran an international engineering company. The vineyard is between the road and Okanagan Lake. “We bought the property just to retire,” Skip says. The property, about 52 acres in size, still is mostly raw land and forest with spectacular views over the lake. He planted the first block of Chardonnay, about 2 ½ acres, in 2004. The vineyard has since been expanded to just over eight acres, most of it four different Dijon clones of Chardonnay. When the vines began producing in 2008, Skip and Judy began selling the fruit to Foxtrot Vineyards. In 2010 and 2011, Foxtrot put Coolshanagh Vineyard on the label of its Chardonnay. “In 2011 or 2012, we ran into Okanagan Crush Pad and got pretty excited about the ability to go somewhere and not having to build your own winery,” Skip recounts. Since the 2012 vintage, Okanagan Crush Pad’s winemakers have been making the Chardonnay that is released under the Coolshanagh label. The Celtic name on the label resonates with the owners because there is a family connection. The Stotherts got a modest restaurant distribution of their first wine, from the 2012 vintage, in 2014. Perhaps the winery might be called “Class of 2014” but the profile has become greater this year. Here are notes on the three vintages made prior to this year. The first was made by Michael Bartier and the next two have been made by Matt Dumayne, his successor at Okanagan Crush Pad. Note that the largest portion of these wines was fermented in a concrete egg; and the final blends were aged in concrete. Pedro Parra, the Chilean viticulture consultant employed by OCP, thinks the Coolshanagh terroir is anything but average. Coolshanagh Chardonnay 2012 ($36.90). A third of this was fermented in new French oak. The remainder was fermented in stainless steel. The wine was then blended and aged on the lees in a concrete egg until bottling in 2013. The wine shows notes of citrus on the nose and the palate. The bright acidity and the spine of minerality give this elegant wine good ageability. 91. Coolshanagh Chardonnay 2013 (current release). A third of this was fermented in new French oak and the rest was fermented in a concrete egg. The wine begins with intense aromas of citrus with a hint of hazelnut, leading to flavours of citrus and pineapple. Once again, the wine has bright acidity and a spine of minerality. 92. Coolshanagh Chardonnay 2014 (not yet released.) A portion of this was fermented in new oak puncheons, lightly toasted so that oak notes are minimal. The rest was fermented in a concrete egg. This wine has the textural richness that seems an attribute of concrete aging. 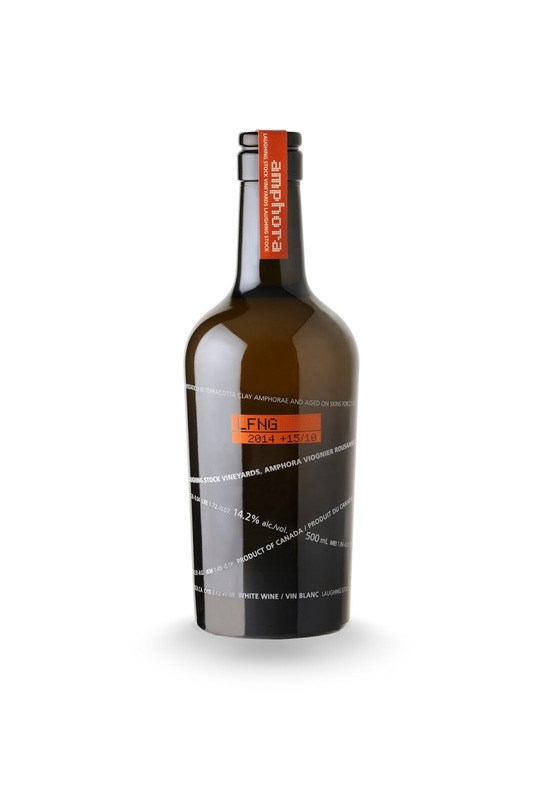 It has rich flavours and aromas of tangerine and pineapple, with a hint of hazelnut. The bright acidity gives the wine a crisp and lingering finish. 92. I went looking in the cellar for a bottle of bubble to toast the outcome. By a remarkable coincidence, my eye fell on Intrigue Winery’s 2014 I Do, a rosé sparkling wine meant more for weddings than for an election night divorce. The coincidence is that the winery is in the riding of Okanagan Lake Country. The incoming Member of Parliament, Stephen Fuhr, is the first Liberal elected there since, well, since the glacier retreated from the Okanagan Valley. So here is a toast to Mr. Fuhr in the hope that, four years hence, we still will be savouring a good glass and not just a hangover. As it happens, I have been working my way slowly through Intrigue’s wines during an extremely busy summer which got in the way of writing up the wines earlier. I Do was the only remaining wine to taste. Some of the wines may now be sold out, although in most instances, Intrigue produces good volumes. Intrigue, which is at 2261 Goldie Road in Lake Country, is a winery established in 2009 by two couples: Roger Wong (also a winemaker at Gray Monk Estate Winery) his wife, Jillian; and partners Ross and Geri Davis. Ross owns a Kelowna data centre and Geri is the controller at Gray Monk. Roger, who was born in Vancouver in 1965, started his career in wine in 1995 when he volunteered with Tinhorn Creek in the 1995 crush. They hired him, promoting him through the vineyards and cellars and through courses at the University of California. In 1998, Roger took over as winemaker at Pinot Reach Cellars, a Kelowna winery that became Tantalus Vineyards in 2004. In 2005 he moved to Gray Monk to make the red and sparkling wines. Roger’s first independent label was Focus Wines, concentrating on Riesling, the variety he believes is well suited to the north Okanagan. He made the first Focus Riesling in 2002 but the venture stalled in 2003 when smoke from the forest fires saturated Kelowna vineyards and ruined the grapes. The dream was reborn after Roger and Jillian found Ross and Geri to be kindred souls. In the 2010 vintage, Roger reintroduced a Focus Riesling in a portfolio of Intrigue wines that includes crisp whites, solid Merlots and a sparkling wine. Roger’s legendary affection for Riesling was recognized earlier this year. He celebrated his 50th birthday with a gift of 50 Rieslings from national and international producers. Intrigue “I Do” 2014 ($19.90 for 850 cases). This wine is based on Riesling with a touch of Merlot for colour and added fruitiness. The pink hue and the active bubbles contribute to the festive appeal of this wine. The bubbles also give it a creamy texture. The wine has aromas and flavours of cherry and strawberry, with just a trace of sweetness on the fruity finish. 90. Intrigue Social 2014 ($14.90 for 1,000 cases). This is a blend of 70% Riesling, 27% Gewürztraminer and 3% Muscat Canelli. The wine is refreshing, with aromas and flavours of grapefruit, melon and apple with a hint of spice. The finish is crisp. 89. Intrigue Gewürztraminer 2014 ($16.90 for 482 cases). The wine begins with aromas of spice and grapefruit, with flavours of grapefruit, grapefruit rind and lychee. The finish is slight off-dry. 88. Intrigue Pinot Gris 2014 ($16.90 for 850 cases). This wine presents in the glass with an appealing light bronze tinge, indicating the winemaker left the juice in contact with the skins for a brief time. That also adds flavour. This is a delicious white with aromas of apples, citrus and honeysuckle. On the palate, there are flavours of pineapple, strawberry, nectarine and pear. The texture is generous but the finish is crisply refreshing. 91. 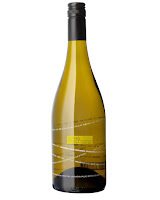 Intrigue Chardonnay 2014 ($16.90 for 207 cases). This fruity Chardonnay begins with aromas of citrus, apple and honeydew. On the palate, there are flavours of green apple and lime with a very subtle hint of butterscotch from the light oak in the wine. 90. Intrigue Riesling 2014 ($16.90 for 501 cases). The 22 grams of residual sugar here, nicely balanced with bright acidity, lift the fruity aromas and flavours of this wine. It has flavours of lime, tangerine, nectarine and ripe apple. The texture is juicy. 90. This blog post repeats information posted in early September, along with reviews of Portfolio 2013 and Chardonnay 2014. The September blog unaccountably vanished and I have been unable to re-post it. It turns out I was correct when I surmised the Portfolio 2013 would be superb, based on how excellent the Blind Trust 2013 was. The winery was correct in predicting that smoke taint would not be a major issue in 2015. The smoke was much less intense than 2003. In an earlier recent newsletter, Laughing Stock owners David and Cynthia Enns addressed an issue on the minds of a lot of people in the 2015 vintage: will there be smoke taint on the wines? Living in the Okanagan brings its pluses and minuses. And in a hot year like 2015, one of the biggest stressors we deal with is the threat of forest fires. While none of our vineyard properties have been immediately affected by the raging forest fires this summer, you can see from this picture from our Perfect Hedge Vineyard in Osoyoos, that the potential of damage from the Rock Creek fire that started August 13th, was a very real threat to us when watching the mushroom cloud of smoke erupt above the vineyard. Fortunately we and other vineyards and wineries have not had any measurable damage to date, even though our Osoyoos vineyard manager, Sukhi Dhaliwal, and family were evacuated on the Golden Mile when the Testalinden Creek fire burnt right up to within 100 metres of his house and vineyard. However, the winemaking community is abuzz with chatter about the potential of smoke taint as a heavy haze settles into the valley from the Washington State fires south of us. From our experience from the fires in 2003, the vineyard has to be exposed to extensive smoke from close proximity to create smoke taint, which has fortunately not been the case for us this year. We wish all our winery community a safe harvest and to be forest fire free! The photograph at the head of this column is not the one they refer to. Rather it is a photograph I took earlier that week of the Testalinden Creek fire. That fire was a threat for almost two weeks. If you are still toasting the fire fighters, here are some excellent wines from Laughing Stock. Laughing Stock Portfolio 2013 ($45 for 2,500 cases). This is a blend of 41% Merlot, 30% Cabernet Sauvignon, 18% Cabernet Franc, 8% Malbec and 3% Petit Verdot. Dark in hue, the wine begins with aromas of black cherry, cassis, vanilla and cloves. The wine has an appealing core of fruit on the palate, including flavours of blueberry, black currant and black cherry with a hint of spice and chocolate. The long ripe tannins and the 19 months of barrel-aging give the wine an incredibly polished elegance and a finish that persists. 93. Laughing Stock Chardonnay 2014 ($28 for 215 cases). This barrel-fermented, lees-stirred Chardonnay has an appealing creamy texture. It has aromas and flavours of tangerine, ripe pineapple and butterscotch. There is a slight warmth from the 14.6% alcohol but the full texture compensates nicely. 91. Laughing Stock Pinot Gris 2014 ($22). The winemaking style aims for a fruit-forward Pinot Gris. Half of the wine was fermented in neutral French oak, 30% in stainless steel and the remaining 20% in concrete eggs. The winery has been using concrete eggs since 2011. The aroma begins with a hint of bready lees mingled with lemon and pear. The wine has a rich palate with flavours of citrus and pear and ripe apple. The finish is crisply dry. 90. Laughing Stock Viognier 2014 ($26). This wine was fermented 40% in stainless steel, 40% in French oak, 20% in concrete eggs. The wine’s lush aromas jump from the glass, with floral aromas mingled with citrus and apricot. The wine has a full weight on the palate, with honeyed flavours of apricot and ripe apple. The finish is long with subtle hints of spice. 91. Laughing Stock Blind Trust 2014 ($25). The blend is 50% Pinot Gris, 20% Viognier, 18% Pinot Blanc and 12% Roussanne. It begins with aromas of grapefruit and goes on to deliver mouth filling flavours of lime, apple and peach. 90. Laughing Stock Amphora VR 2014 ($24 for 500 ml, but all 162 cases are sold out). This blend of 50% each of Viognier and Roussanne was fermented and aged on the skins in a terracotta amphora. The grapes went into the amphora and were left to ferment naturally without intervention for two and a half months. The winery says wines were made like this 1,000 years ago but probably a lot longer back in history than that. Both the Romans and the Greeks had amphorae. This unctuous white presents honeyed tangerine aromas. There are both fruity and nutty flavours. The finish is dry and the alcohol, while only 14.2%, is surprisingly obvious. The wine is cleverly packaged in a squat 500 ml bottle with a glass stopper. You won’t want to return this for the dime. 90. Laughing Stock Blind Trust 2013 ($30). This is 40% Merlot, 36% Malbec, 15% Cabernet Sauvignon and 9% Cabernet Franc. The components for this wine aged in French oak for 16 months. This is a dark wine with the glorious Malbec perfume on the nose. It has flavours of cherry and black currant mingled with white pepper and vanilla. The texture has good concentration. This wine is made from the barrels that don’t make the winery’s flagship red, Portfolio. The 2013 vintage of Portfolio must be spectacular because the leftovers are superb. 92. Laughing Stock Syrah 2013 ($38). In the classic Rhone style, there is 4% Viognier in this wine, something winemakers do to stabilize the almost black colour and to lift the aromas. This wine has complex aromas of black cherry, blackberry, leather, rare steak and pepper. It delivers all of those flavours to a palate that is big and ripe. The tannins are generous, not hard. The finish is long, with notes of earth and spice. 93. With the release of these four reds, Tinhorn Creek and its fans are getting into the string of strong vintages that began in 2012 and has continued through 2015. A lot has been written recently that 2015 is “the vintage of the century.” I believe that is a bit over the top for several reasons. The century is just 15 years old. While 2015 was the hottest grape-growing year since 1998, heat is not the only requirement for great wine. At the end of August, three months of blistering heat had caused some varietals to build sugar faster than they developed flavour. Thankfully, the below-average September temperatures allowed the vines to get back into balance, saving the vintage from a lot of high-alcohol wines. The vintages of 2012, 2013 and 2014 have also been quite good. Andrew Windsor, the current winemaker, took over at Tinhorn Creek in the late spring of 2014. That means he got to see many of these wines from the barrels into the bottles. He has an interesting comment on the Cabernet Franc, long one of the most popular reds at Tinhorn Creek. I cannot wait until I get to taste his 2014 reds. Recently, I tasted barrel samples of 2014 reds at Osoyoos Larose that are among the best yet in that cellar. There is no reason why that will not also be true at Tinhorn Creek. As for the 2012 vintage, I have been impressed repeatedly by how harmonious and well-balanced the reds are from that vintage. The Tinhorn Creek reds are no exception. Here are notes. Tinhorn Creek Cabernet Franc 2013 ($21.99 for 4,037 cases). The brightness of the fruit matches the wine’s bright hue. It begins with aromas of cherry and blackberry. Soft and luscious on the palate, it has appealing brambleberry and cherry flavours with a hint of mocha. Winemaker Andrew Windsor says “this is easy to drink right now.” 90. Tinhorn Creek Oldfield Series Merlot 2012 ($26.99 for 2,076 cases). Deep in colour, the wine begins with a dramatic aroma of blueberry, cassis and vanilla. On the palate, there are flavours of red fruits including black cherry and black currant. The texture shows good concentration with long ripe tannins to give it a satisfying elegance. On the finish, there are notes of spice and cedar. 92. Tinhorn Creek Oldfield Series Cabernet Franc 2012 ($30.99 for 770 cases). Deep purple in colour, the wine has aromas of black cherries and pomegranate. 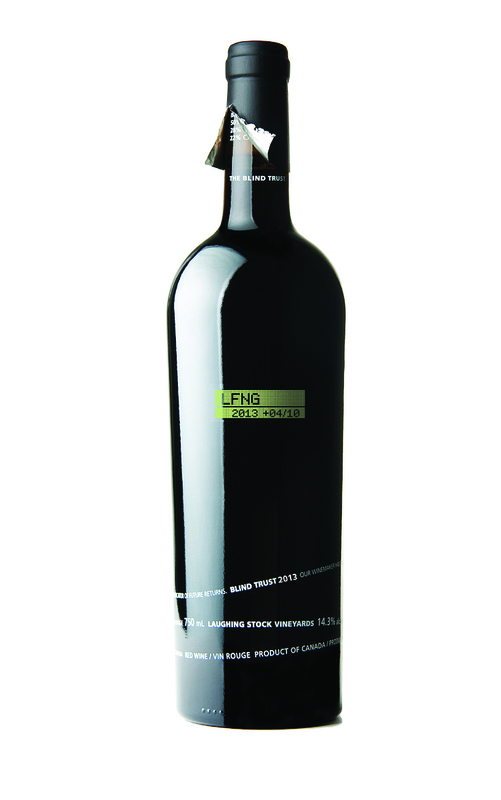 The complex flavours include notes of dried herbs and cedar, blackberry and plum, with smoky notes and dark chocolate. The smooth but concentrated tannin structure will make this a great candidate for cellaring. The winery estimates 10 to 12 years. 93. Tinhorn Creek Oldfield Series 2Bench Red 2012 ($26.99 for 1,683 cases). This is 41% Cabernet Sauvignon, 28% Merlot, 28% Cabernet Franc and 3% Petit Verdot. This is one of the flagship reds at Tinhorn Creek, an age-worthy wine with great complexity. It begins with aromas of blueberry, cassis and black cherry. Generous in weight and texture, the wine delivers flavours of plum with chocolate and coffee on the lingering finish. To use a baseball analogy, this wine gets on base (it is drinkable now) and then scores a run (it will age 10 to 12 years). 93. Brooke Blair, the red winemaker at the Jackson-Triggs Okanagan winery since 2004, has returned to her native Australia. Her husband, Dave Warhurst, was a cellar hand at Culmina Family Estate Winery. “It impacts us, too,” lamented Don Triggs, Culmina’s co-proprietor. He was the chief executive at Vincor International when Brooke was hired in 2004. Brooke is an accomplished winemaker with an impressive series of rewards from both national and international competitions. I dug into my files for more background on Brooke. Here is an excerpt from an interview with her in 2007. Q. Where and when were you born? B. A place called Mount Gambier in 1978. [45 minutes south of Coonawarra.] I went to University of Adelaide and studied agriculture science majoring in enology. It was a four-year degree. In my fourth year, I had to do a placement in a winery. I did mine at Hollick Wines in Coonawarra. At the end of my placement, they asked me to come back and work there once I had completed my final year. They created an assistant winemaker position for me and I stayed there for three years. Hollick is a family-owned winery. They crushed around about 500, 800 tons; probably larger now. It was a very hands-on position. I learned a lot while I was there. While I was there, I also did a vintage in Spain. I was there for three months and worked in two or three different regions. Through a friend of a friend, I heard about the job here, so I sent my résumé over and got this position. Q. Why did you want to come here? B. I wanted to do at least another vintage overseas. I was thinking of doing either Italy or Canada. When this opportunity came up, I thought why not apply and get a chance to see a bit more of the world. I had heard nothing but good things about Canada. The wine industry was growing, and still is. From an employment perspective, this was a good place to be. I thought I could bring some knowledge from Australia but also learn some things over here as well, especially Icewine, which we don’t do in Australia. Q. Was your family in the wine business? B. My father used to be a viticulturist before I was born. He has always had an appreciation of wine, particularly red wine. I was always exposed to that. That said, I initially started studying commerce at university, and decided I could not do that for the rest of my life. I wasn’t too sure what I wanted to do but I had a strong science background. I became friends with someone who was studying viticulture. I thought I would be more interested in that and changed to winemaking the following year, and never looked back. I have always had an interest in travelling. Winemaking seemed like the perfect thing – you can still travel around, plus get experience. You are not set back in your career. You can keep doing all of those things you want to do and gain experience and knowledge at the same time as seeing other countries. Q. You are the red winemaker here. Did you specialize in that in your studies? B. No. Coming over here, I didn’t apply for the red winemaker position. It was just decided by Rob Scapin [chief winemaker at Jackson-Triggs] that they were going to split the roles here. Since I came from Coonawarra, which is well known for red varieties, Rob thought it would be a good idea for me to be in charge of the reds. Q. Have you had any surprises about the Okanagan? B. I didn’t know a lot about the region before I came. I do remember flying in from Vancouver and being amazed at how beautiful it was. I thought I had hit the jackpot in that respect. Mountains and lakes everywhere. I was so well received that it was not difficult for me to settle in. I have now stayed for three years, which is an indication of how much I am enjoying it here. I bought a house in Penticton. I became a permanent resident of Canada at the beginning of the year. I plan on staying for a while. It’s a very up and coming region, just getting worldwide recognition now. Even since I came over here, the bar has been continually raised. The more wineries that produce good wines, everyone has to do the same. In the past three years I have seen the quality levels increase. It goes without saying that the quality of Okanagan wine has just continued to improve since that interview. Brooke shares in the credit for that. She will be missed but her native land gets a strong talent back. Conversations with the Mavety family, owners of Blue Mountain Vineyard & Cellars, always run the gamut from entertaining and enlightening to provocative. Last fall I was interviewing Matt Mavety, the winemaker, for a project I am doing on collectible wines. Perhaps mischievously, I asked which of Blue Mountain’s wines could be collected by those assembling verticals. “All of them,” he replied. “Nobody collects Gamay Noir,” I responded. I was reminded of that chat this summer when the winery sent samples of the current Gamay Noir release (as well as the current Pinot Gris). I have to admit this is a wine, while delicious now, could be cellared as long as 10 years before getting tired. It is one of the B.C. Gamays that have made me rethink my casual dismissal of the varietal, an attitude engendered years ago when the market was awash with Beaujolais Nouveau. I never understood the appeal of a wine tasting like grape juice, although I once had it paired with a cassoulet. It is a simple wine for country food. There are also Gamay Noirs suited for Sunday dinner. Such Gamay Noir has long been the best red from Robin Ridge Winery at Keremeos. It is one of the best reds both at Desert Hills winery and Platinum Bench Estate Winery, neighbours on Black Sage Road. There are numerous others as well, ranging in style from Beaujolais and Beaujolais Village to one or other of the top-rated dozen Beaujolais Cru wines. I would rate Blue Mountain’s Gamay with a Beaujolais Cru. I can’t tell you which of the ten Cru because I don’t get to taste them often. From memory, I might compare it to Morgon or Juliénas or Moulin-à-Vent. It might be a thought to pick up a few of these from the Liquor Distribution Branch and organize a comparative tasting. The LDB has a good selection. Those wines – at least some of them – might cellar a bit longer than the Blue Mountain wine. Blue Mountain suggests its wine will age four to six years, quite adequate for a Gamay. It might very well live a lot longer. Here are notes on that wine and on the companion wine that arrived for tasting. Blue Mountain Pinot Gris 2014 ($21). The richness, minerality and texture of this wine reflect the fact that the vines are now 28 years old. When the grapes arrived at the winery, Matt pressed whole clusters to capture the purity of the flavours. Sixty percent was fermented in stainless steel, 40% was fermented in French oak (ranging from new to three years old). This portion also aged sur-lie in oak for six months. That helped build more complexity into the wine. It begins with aromas of citrus, pears and apples and that is echoed in the flavours. The fresh acidity gives the wine a crisp finish. 90. Blue Mountain Gamay Noir 2014 ($23). The price, by the way, is competitive with most of the Beaujolais Cru wines. Blue Mountain’s vines range in age from seven to 25 years. This wine was totally fermented with wild yeast, in order “to better express the terroir of our estate,” the winery says. The wine was aged nine months on four-year-old French barrels, a technique for enhancing the texture without imparting noticeable oak in a wine meant, above all, to be fruity. This wine is both fruity and rich. It has earthy aromas and flavours that include black cherry and blackberry. There is a long spicy finish. 91. Calona Vineyards, the oldest B.C. winery name still on a label, is beginning a slow fade to black. In its place, Andrew Peller Ltd. – which has owned Calona since 2005 – has introduced a new label called Conviction. It has begun to take the place of the Calona Artist series labels, tired after 25 years. The five Conviction wines were rolled out last month by winemaker Sydney Valentino at a Vancouver tasting of wines in the Peller portfolio. The wines now are also in the Liquor Distribution Branch stores (and likely in VQA and private wine stores). Each of the Conviction wines has caricature images and sub-titles honouring the pioneers involved in Calona’s early history. For example, the Pinot Noir’s sub-title is The Priest. This memorializes Monsignor W.B. McKenzie who became a parish priest in Kelowna in 1931. His parish would have included the Capozzis, the Ghezzis, the Casorsos and all the other Italians who invested in the winery. Calona Wines was launched that year as Domestic Wines & By-Products, changing its name a few years later. Its first wines were made with apples and were unstable enough that they re-fermented on store shelves. But for the Monsignor, that would have been the end of venture. However, the Monsignor arranged for the winery to produce sacramental wines for the Catholic Church in Canada. The cash flow sustained the winery, which was to prosper subsequently by selling other wines to the military depot at Vernon and to other customers. Calona Wines hit the big time in the 1960s when the three Capozzi brothers (Joe, Tom and Herb) took over management. Sons of Cap Capozzi, one of the winery’s founders, the three had the inspiration to copy the product offers (including bottle shapes) of the Gallo family in California. In 1970, they even asked Gallo to invest in Calona Wines. That did not pan out but in 1971, Standard Brands Ltd. of New York and Montreal took over Calona. Since then, Calona has had a succession of owners including a stock promoter who almost ruined the company in the 1990s. Peller has cemented its position among the major B.C. producers. It was on Standard’s watch that Calona created Schloss Laderheim in 1977, a white wine made with Okanagan Riesling grapes and packaged to masquerade as a German wine at two-thirds the price. Within four years, it had become the largest selling domestic white in Canada, almost 600,000 cases. By that time, it was a blend of local juice and California wine. The brand’s wings were clipped when the Liquor Control Board of Ontario began marking it up like an import wine. Schloss lost its price advantage. But it is a durable brand. You can buy a 1 ½ little bottle or a four litre box in almost any B.C. liquor store. Almost certainly, it is a blend of imported wine, as are the handful of brands, like Royal Red, that will carry the Calona name for years to come. With the emergence of the VQA program in 1990, Calona set out to distinguish its top wines with labels designed by Robb Dunfield, a Vancouver-based artist who, due to an accident, painted by holding the brush in his mouth. The commission from Calona was a godsend for the artist. The first wine with a Dunfield label, ironically, was not a VQA wine but rather a red made hybrid grape called Rougeon. But the label enabled Calona to charge $10 for it. “Calona has never sold a bottle of wine over $10 in its entire history,” said Ian Tostenson, the winery’s president at the time. The “artist series” wines subsequently produced by Calona featured not just Dunfield but several other artists. The labels were very good but over the years, their impact was eclipsed by the proliferation of new labels from competing wineries. That led to the decision to move most of the artist series wines over to Conviction. That even includes Sovereign Opal, a Calona exclusive. The white grape, whose aromas and flavours always remind me of Torrontes from Argentina, was developed by the Summerland Research Station. It was released to growers in 1976 and was embraced by the late August Casorso. His family had been among Calona’s founders. 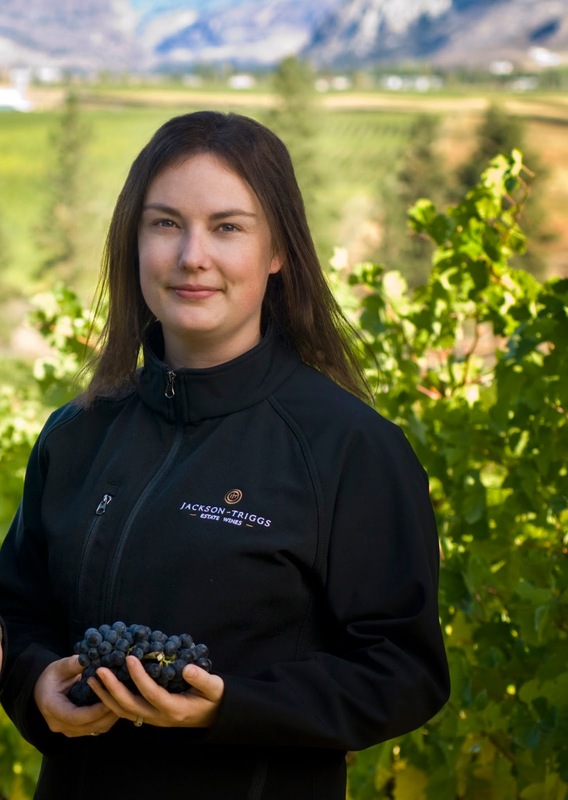 A Casorso vineyard in Kelowna is believed to be the only one growing the variety today. Here are notes on the Conviction wines. Conviction Pinot Grigio 2014 “The Financier” ($13.49). This is an unoaked white with 15% Chardonnay in the blend. The wine is juicy and refreshing with aromas and flavours of citrus, pear and apple. 88. Conviction White 2014 “Movers & Shakers” ($12.99). This is 80% Gewürztraminer and 20% Sovereign Opal. It has spicy aromas, along with aromas and flavours of peach and pear. 88. Conviction Sovereign Opal 2014 “The Industrialists” ($12.99). The wine begins with aromas of ginger and citrus. It delivers intense and exotic tropical fruit flavours, with a balance that gives the wine a dry finish. 90. Conviction Pinot Noir 2014 “The Priest” ($14.79). This is a light and fruit Pinot Noir with aromas and flavours of strawberry and cherry. 88. Conviction Red 2013 “Dreamers & Schemers” ($13.49). This is 80% Merlot and 20% Cabernet Franc. It is a soft, easy-drinking red with flavours of red and black currant and with pleasantly spicy finish. 88. Since opening in 2005, the Similkameen’s Forbidden Fruit Winery has earned a reputation for high quality fruit wines. However, the winery has quietly diversified into grape wines, first under its own label and now with a companion label just launched: Dead End Cellars. Owners Steve Venables, Kim Brind’Amour and their son, Nathan, initially added grape wines to their portfolio to satisfy the consumers who had ventured all the way to this secluded winery and found just fruit wines. The winery started several years ago with its Earth Series wines, with some of the profits going to charitable purposes. Now the winery has launched an entirely new label, Dead End Cellars, which is destined to evolve into a separate label under Nathan’s direction. It came about after Forbidden Fruit bought a neighbouring property last fall, south of its orchard and vineyard at a “dead end” against the U.S. border. Steve, who moved to his Similkameen property in 1977, has been farming this nearly adjacent property since 1979 for the elderly residents. He had even planted grapes there and had expressed an interest in buying it. Last September, after the death of the last resident, the estate sold it to him. The attraction, aside from the one-acre vineyard, is the massive house built there in 1979 on top of an original log cabin. The house fronts onto the Similkameen River. Nathan believes the ground floor (of three floors) will make an excellent tasting room. A red seal carpenter by trade, he has renovated the building. Three wines have been released so far under the Dead End Cellars label. (I cannot track down the price to go with the reviews.) The wines, like everything from Forbidden Fruit, are organic. Steve and Nathan have sourced some of their organic grapes from organic growers in the Okanagan to supplement their fruit. They also have eight or nine acres on the Forbidden Fruit farm that is available for vines. Here are notes of current releases. Dead End Cellars Skrewd 2014. This is a blend of Riesling, Sauvignon Blanc and Pinot Gris. It delivers tons of fruity aromas, followed by flavours of grapefruit, apple, peach and nectarine. The wine is so fruity that the finish seems of dry. That’s not sugar, that is fruit. 88. Dead End Cellars No Return 2012. This is a blend of Merlot, Cabernet Franc and Cabernet Sauvignon. It has aromas and flavours of red and black currants, cherry, vanilla and chocolate, with cherry and raspberry on the finish. The texture is juicy. 90. Dead End Cellars Game Over 2012. This is a delicious blend of Tannat and Malbec. 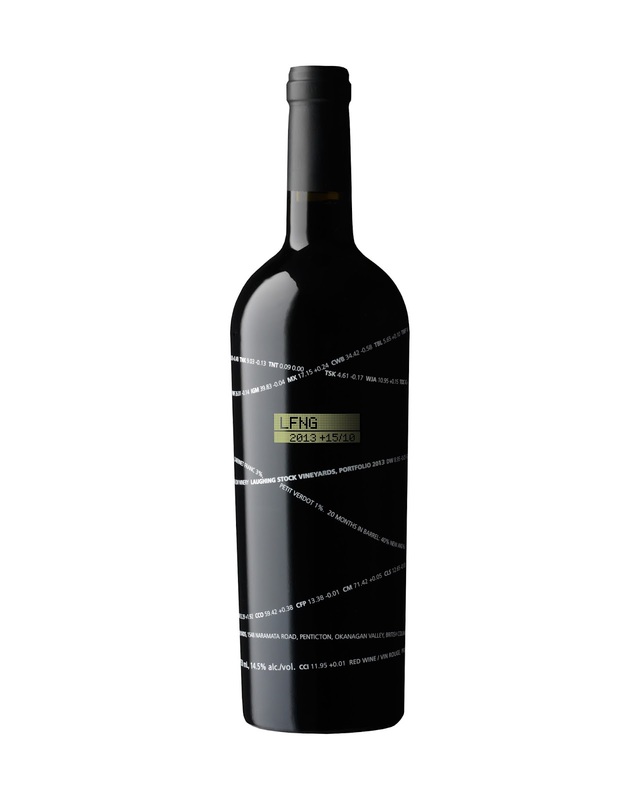 Dark in colour, it has aromas of plum, blackberry and black currant. On the palate, there is a cascade of red berry flavours with black cherry, blackberry and chocolate on the finish. 91. Forbidden Fruit Adam’s Apple 2013 ($18.95). This dry apple wine is made from six varieties (not named on the label) which makes for complexity. The apple aromas and flavours are intense, with a focussed purity. The wine has good weight. The finish is crisp and lingering. 90. Forbidden Fruit Pearsuasion 2013 ($18.95). This dry pear wine is made from two varieties of Asian pear: Shinsiecki and Kosui. Forbidden Fruit grows these in its organic vineyard. The aromas and flavours are quite exotic, with notes of banana, cantaloupe and, of course, pear. The wine has good weight and the finish is crisply dry. 90. Forbidden Fruit Plum Noir 2013 ($24). The winery set out to challenge Pinot Noir with a wine from a blend of European and Asian plums. The wine begins with a smoky aroma. On the palate, the plum flavours have an earthy undertone (in Pinot Noir, this would be called forest floor). Oak aging and the natural plum tannins give the wine a moderately firm structure. 88. Forbidden Fruit Cherysh 2013 ($19.95). This is a rosé wine made with cherries. The fruit defines the aromas and the flavours. The bright acidity gives the wine a tangy and dry finish. 89. Forbidden Fruit Pomme Desiree 2014 ($($29.95 for 375 ml). This is an iced apple dessert wine that holds its own against any Icewine. The aromas are fresh, with hints of bake apple. On the palate the apple flavours are rich with a lingering caramel note on the finish. The balance is exquisite: the wine has sweet but by no means cloying. 90. Forbidden Fruit Impearfection 2014 ($21.95 for 375 ml). This Asian Pear dessert wine begins with exotic, spicy aromas, going on to flavours that simply explode on the palate. The wine is a tropical fruit basket of pears and mango, with a long finish of wildflower honey. 92. Forbidden Fruit Plumiscuous 2014 ($26.95 for 350 ml). In fruit wine terms, this is a mistelle – a wine to 17%. The plum flavours are intense and there is lingering sweetness on the finish. The wine is nicely balanced and can be sipped on its own. I like the recommendation on the back label: make a vodka martini with this. 90. Forbidden Fruit Sauvidal 2014 Earth Series ($22). This is a blend of Sauvignon Blanc and Vidal. It begins with aromas of lime and pineapple, leading to ripe tropical fruit flavours with a persistent finish. The texture is juicy and the balance leans to dry. 90. Forbidden Fruit Cabernet Sauvignon 2012 Earth Series ($26). This wine begins with aromas of vanilla, cassis and bell pepper. There are flavours of black currant, blueberries and vanilla. There are long ripe tannins, with the firm backbone one expects in a Cabernet. Decant this wine. 89. The wines of Cassini Cellars, which only opened in 2009, have developed a distinctive house style. The wines are bold and ripe, usually with alcohol of 14% or better but with such excellent balance that there is no heat on the finish. The reds now all spend close to two years in oak, with the result that the tannins have become silky. The reds are drinkable on release but clearly are age-worthy. 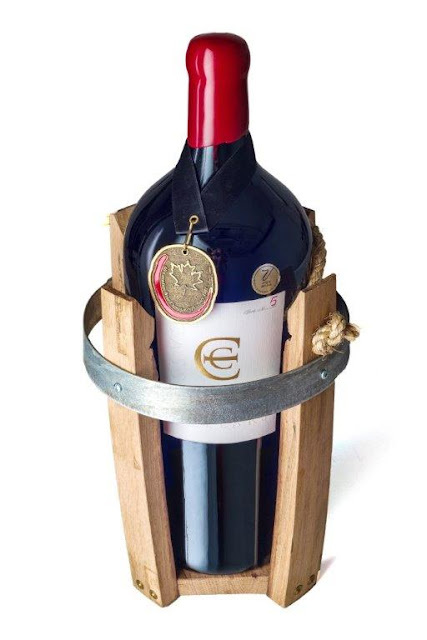 Owner Adrian Cassini has underlined the longevity of this reds by releasing some of the muscular Maximus blend in large formats – 500 magnums, 30 double magnums and 30 jeroboams (with six litres of wine in each). Wines age much more gracefully in larger bottles. The Jeroboam, which comes with a wooden crate so that it can be handled, will sell for $350. The double magnums are $170 and the magnums, which come in wood boxes, are $99. None are released yet but when they are, most, if not all, will be sold in the Cassini wine shop. All of these are award winning wines. One of the most awarded is the 2012 Cabernet Franc: double gold at the All Canadian Wine Championships, gold at Intervin and a 2015 Lieutenant Governor’s Award of Excellence. Grown on the estate, the variety is getting an ever higher profile at Cassini. Adrian also ages his reds in barrel for 20 to 24 months which achieves long and polished tannins in the wines. He has now added a new warehouse behind the winery for case storage. The intent is to age the reds at least a year in bottle before releasing them. There is a cost to tying up capital in wine for three years. If that is reflected in the price of the wines, the payoff should be in quality. I think it is there. Cassini Reserve Chardonnay 2013 ($25 for 320 cases). Lightly gold in hue, the wine begins with assertive aromas of tropical fruit and vanilla. The wine is generous on the palate, with flavours of apples, vanilla and oak. The acidity keeps the wine lively and refreshing. The finish is so persistent that you could time it with a stop watch. 92. Cassini Roussanne Marsanne 2013 ($25 for 200 cases). This is 60% Roussanne and 40% Marsanne, both white Rhone varieties not yet widely grown in the Okanagan. This is a complex wine, with honeyed aromas of herbs and tropical fruit. On the palate, there are flavours of apricot and orange zest. It is dry with a good spine of minerality. 90. Cassini Viognier 2014 ($19 for 450 cases). The wine begins with floral aromas recalling lilac blossoms, along with aromas of pear and grapefruit. There are flavours of apple, pineapple and apricot. There is good mid-palate weight with a light elegance and crispness to the refreshing finish. 91. Cassini Quattro 2012 Collector’s Edition ($28 for 1,800 cases). This is 37% Cabernet Sauvignon, 34% Merlot, 26% Syrah and 3% Cabernet Franc. It begins with aromas of black cherry and chocolate. As the wine opens – decanting is suggested – it reveals a core of sweet berry flavours including black cherry, plum and cassis. There is a touch is espresso on the lingering finish, along with a hint of pepper. 91. Cassini The Aristocrat 2012 Cabernet Sauvignon ($40 for 180 cases). Dark in color, the wine begins with aromas of vanilla, black cherry and mocha. On the palate there are flavours of black currant, black cherry and Christmas spices. The ripe tannins give this wine a rich and polished texture. The finish is persistent and delicious. An excellent example of well grown Okanagan Cabernet in a good year. The grapes are from an Osoyoos East Bench vineyard. 92-94. Cassini Cabernet Franc 2012 Collector’s Edition ($32 for 220 cases). Here is a bold and ripe Cabernet Franc with 14.7% alcohol. The aroma is exquisite – blackberries, raspberries and cassis – and those are echoed in the flavours, along with notes of tobacco, leather and pepper. The tannins are supple and ripe, giving the wine a rich texture. There is a hint of cigar box on the long finish. 92. Cassini Maximus 2012 Collector’s Edition ($34 for 700 cases). The winery also has bottled 500 magnums of this Meritage. The blend is 53% Cabernet Sauvignon, 44% Merlot, 2% Petit Verdot and 1% Cabernet Franc. The wine has aromas of cassis and black cherry. The wine presents a polished texture of silky tannins, with intense flavours of cassis, cherry, blueberry, vanilla and cocoa. 92. Cassini Nobilus 2011 Grand Reserve ($39 for 110 cases). This is 100% Merlot. It is a concentrated wine with a firm texture; the wine benefits considerably with decanting, which reveals a rich texture. There are aromas of black currant, plum and cedar. On the palate, there are flavours of black currant, plum, black olives and dark coffee, with a slightly earthy finish. A very complex wine. 90-92. Cassini Cellars The Godfather 2011 ($70 for 150 cases). This is 86% Cabernet Sauvignon, 14% Cabernet Franc. This is a remarkably ripe wine for a cool vintage. The Cabernet Sauvignon expresses a core of sweet fruit including black currant and cherry. The flavours also include dark chocolate and coffee. The texture is firm and the wine should be decanted. Even better, it should be cellared a few more years. This wine will easily live for 15 years.